Another update, 3 editors down and 1 to go, plus we now have panning in the main editor and mesh editor using the Middle Mouse button which is another step in improving the scene editing.. Just wanting to keep those interested uptodate! its good it have updates.. The GUI editor now uses a json file instead of a binary. This means the data is human readable and therefore can be reverse engineered to load code based editors into the visual GUI editor. Something i remember @Shando mentioning. There have also been a few fixes done. @epsilonion, i cannot find the page where you posted the procedure to making the refresh crash... any reminder is welcome thanks. Also doing my final pass on the element types now since the system has changed 3 times now lol.. But internally its a lot more elegant and organised for expansion and has opened to the door to some cool new things. e.g. at some point in the future we will be able to start introducing animation tracks for GUI elements which should make some really cool things happen easily. How to read entry from Input Box when ENTER is pressed? PS: Any chance I can also request some way to set the Specular &/or Diffuse via code for individual Models (if it's not already there and I've missed it!)? @Shando, thanks, i have your other post pinned on my browser which i think i will be able to get all if not most of them in. gui.getProperty("left") -- This returns the CSS value of a element. for another example, a checkbox which is checked has attribute - value="check" or value="uncheck"
setAttribute will allow you to set a property back to an element. e.g. same as line above to check or uncheck a checkbox. back to the crashes, I was more meaning @epsilonion from the crashes he experienced using the gui editor. I remember a refresh button bug which i cannot seem to replicate. Added several new lua commands for GUI coding. Found why the line edits dont work. We never mapped the Qt keys to Librocket keys. Now line edits are fully editable as you would expect. Edit: Return key calling to lua is working also. Edit 2: GUI is pretty much complete for this pass. Don't forget to document all this stuff, it may be needed at some point. yeah, gunna have to make a video tutorial at some point! SolarPortal wrote: Currently, we do not have a set date, but hopefully within the next couple weeks. There are about 4 main editors left that we need to polish and finish upgrading. The script editor has just been completed with a new dark and light themed code lexer and upgraded snippets where users can make their own plus fixes with the find and options. 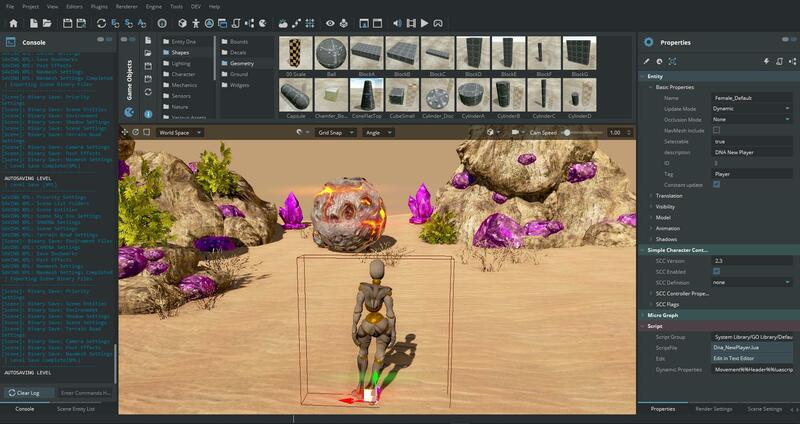 Next is GUI editor and mesh editor, then the visual module editor, weapons editor and grass system plugin. i am sure after release, there will also be a little more work. I'm curious, is the new interface worked on since some months coming in the new update ? next update will have the new interface and its been worked on for quite a few months now.